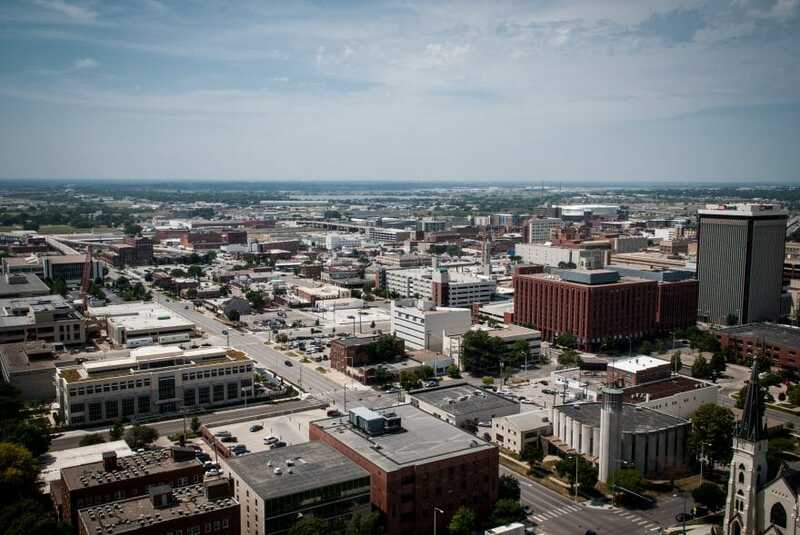 Long known for football, corn and mouth-watering steaks, Nebraska’s growing technology sector is quickly turning the state into the country’s next Silicon Valley. Toner attributes the growing tech industry in part to the presence of Fortune 500 companies that have set up offices and headquarters in the state. With companies like First Data, Union Pacific, Berkshire Hathaway and TD Ameritrade, comes a massive need for technology infrastructure and security, which Toner says brings jobs into the state and keeps Nebraska at forefront of the industry. Over the years, Toner has watched young talent from across the country flock to the Cornhusker State to take advantage of these opportunities in the ‘Silicon Prairie’, bringing with them start-ups, investors and innovation. Today, part of Toner’s job is continuing to find ways to stay ahead of the needs of its tech-savvy citizens and businesses by providing infrastructure, a high bandwidth network and hiring the right team of app developers, technical security and engineers to support the state’s growing IT department. Before being Nebraska’s CIO, Toner worked as a director of IT enterprise operations for TD Ameritrade and IT director for global infrastructure operations for First Data Corporation. Although these experiences taught Toner the language of IT, he says it was his early experience, working as an industrial engineer in the HVAC and chemical manufacturing industry, that taught him to approach each project by first analyzing its cost, quality and efficiency. As an industrial engineer in the early ’80s, Toner analyzed and designed entire manufacturing facilities, assembly lines and material handling systems throughout the Southwest. “I needed to have knowledge and skills in a wide variety of engineering disciplines, and then use that to improve systematic processes through statistical analysis, design, planning and quality control,” he says. It was early in his career, while Toner was writing a software program for a manufacturing plant that printed a variety of product labels, warranty cards and shipping tags, that he discovered the cost-quality-speed “triangle”, he says. The program saved employees hours usually spent typing up the right label or card, improved quality by eliminating mistakes and lowered cost by boosting efficiency. It also made Toner realize the three most important things when considering a new project. Starting as CIO in 2015, Toner applied his model while consolidating the county servers. In his first year, his IT team moved from physical to virtual servers, and the transition improved the reliability (quality) of the environment for all of Nebraska’s counties, resulting in 20 percent savings and increasing the application response time to become virtually instantaneous—satisfying all three sides of the triangle. Toner’s time in the private sector, working for corporations like TD Ameritrade and First Data, taught him the importance of delivering on what he promises. But unlike many of his colleagues who believe a business background is the most important tool for communicating the IT department’s needs, Toner believes it is his background in technology that allows him to provide real solutions for the state. “Over my career I’ve learned the business talk, but I never got away from the technical side of what I do. That has always been in the back of my mind and it’s how I am going to bring quality to this position,” he says. For instance, Toner is one of the few CIOs in the Midwest to use a real-time performance monitoring tool on his desktop that also does network bandwidth analysis. It provides him with a summarized view of the state’s network, alerting him to any issues and giving him instantaneous updates while it is being fixed. Without a strong IT background, Toner says he could not take advantage of such a tool because he wouldn’t understand it. “I had a boss years ago that said, ‘you are a credible leader when you possess three things, sound knowledge of your discipline, exceptional and proven experience, and last and least, your title,” he says. Toner has the title, but to keep the ‘Silicon Prairie’ thriving, he works every day to keep that technical knowledge current.